I-Coat Functional Coatings - Independent Corrugator Inc. In order to meet the varying handling criteria within diverse industries, many of our clients require specific levels of functionality from their corrugated/folding carton stock. 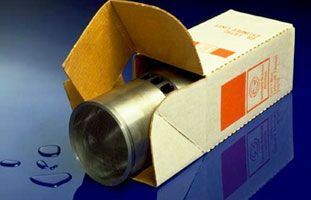 They turn to Independent Corrugator Inc. (ICI) because our staff has the industry knowledge to offer coating solutions for specific applications. Water resistant and moisture barrier coatings – These specially-designed coating solutions capitalize on the distinct advantages of I-COAT™ to create packaging for perishables such as meat, produce and other frozen/fresh food products. 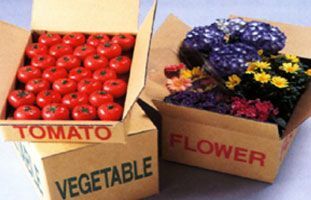 I-COAT™ coatings resolve a myriad of corrugated, folding carton stock application challenges for food organizations and allow their packaging materials to repel many types and levels of moisture – leaving their inside product in optimal sales condition. Grease and oil resistant coatings – ICI technicians are trained to work with a broad range of substrates. We have the capability to enhance the protection of machine/automotive parts through the use of grease and oil resistant coatings. These coating solutions have also been utilized by many large companies within the meat, dairy and prepared food industries. Corrosion inhibitor coatings – Our corrosion inhibitor coatings eliminate the corrosive effect of oxidation and ensure machinery and automotive parts arrive in market-ready condition. With the ability to coat roll widths up to 98 inch, ICI is a solid option for your functional coating requirements. A broad array of functionality exceeding the above list can be found at ICI utilizing the latest in water based coating technology. To learn more about the unique advantages of the I-Coat™ system, contact us today.